Average monthly UK energy bills are now greater than £100 (€113) for the first time. British Gas customers will pay an extra £258 (€290) per year. Consumer gas prices will rise 18% and electricity prices will rise 16%, taking average annual energy bills per household to £1288 (€1449). These quickly follow previous consumer bill rises of 6.9% for gas and 6.7% for electricity, just a few months earlier in December 2010. Scottish Power is also due to raise consumer gas prices by 19% and electricity prices by 10%. These increases in energy bills are supposed to be because of rises in wholesale gas prices. However, the wholesale price of gas has actually fallen by 38% from £360 (€405) per cubic metre in January 2009 to £225 (€253) per cubic metre today. Earnings per share for the BG Group increased by 18% from 2009 to 2010. British Gas profits were £742 (€835) million last year. The British public are repeatedly being warned by energy producers, politicians, watchdog representatives, and even hopeful coal-fired power plant builders that energy bills will rise even further. These warnings of increases to energy bills are despite the fact that wholesale gas prices are actually 38% lower than in January 2009 and coal prices are unchanged. Nevertheless, energy bills from British Gas have increased by 44% for gas and 21% for electricity, since 2008. Ofgem, the industry watchdog previously investigated energy bills from the UK’s six energy suppliers in November 2010. They were concerned that the average net margin per typical customer had already increased by 38% from £65 (€73) to £90 (€101) during September to November 2010. This had already substantially amplified the suppliers’ profit margins on energy bills. Additionally, Ofgem are concerned about a 15% variation paid for wholesale gas by energy suppliers. Some suppliers seem to be better at negotiating wholesale prices. It’s of concern to Ofgem because wholesale price rises are given as the reason for consumer price rises. Energy suppliers claim that energy bills need to rise because of Middle East unrest, Asian surging demand, Qatari LNG supply problems, and Norwegian connection untrustworthiness. However, increases in energy bills are at variance with the 38% fall in the price of wholesale gas since January 2009. Additionally, the U.S. Energy Information Administration expects that natural gas inventories will be at record-high levels in the second half of 2011. The EIA don’t expect any rise in natural gas prices till 2012 from today’s record lows and then, only an 8% rise from $4.25 per MMBtu to $4.58 per MMBtu. The UK electricity industry was de-nationalised in 1990. Privatisation of the energy suppliers should have led to lower energy bills. This has not happened. 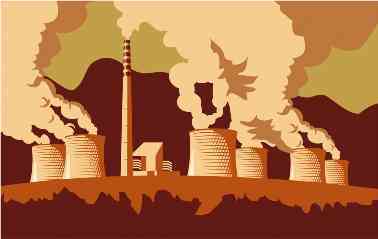 It is rumoured that the foreign owners of the UK power plants have no intention of upgrading the 45 year-old stations and, indeed, they will simply sell the crumbling assets. It is believed that the UK government may offer financial inducements for the power company owners to construct nuclear power plants and wind farms. This money would ultimately be provided by UK energy consumers with further increases in energy bills.